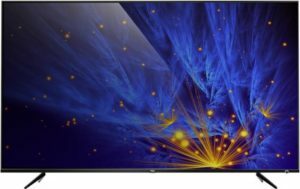 Flipkart is here with a great deal offering TCL P6 109.22cm (43 inch) Ultra HD (4K) LED Smart TV at Rs 29,999. Looking for a LED TV.? This is the great deal for you . A branded LED TV at such a best price . Grab Now..!! How to Buy TCL P6 109.22cm (43 inch) Ultra HD (4K) LED Smart TV?